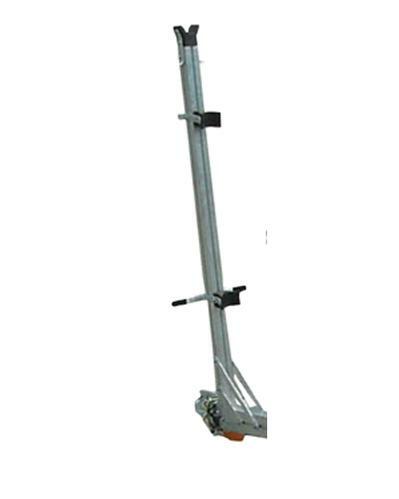 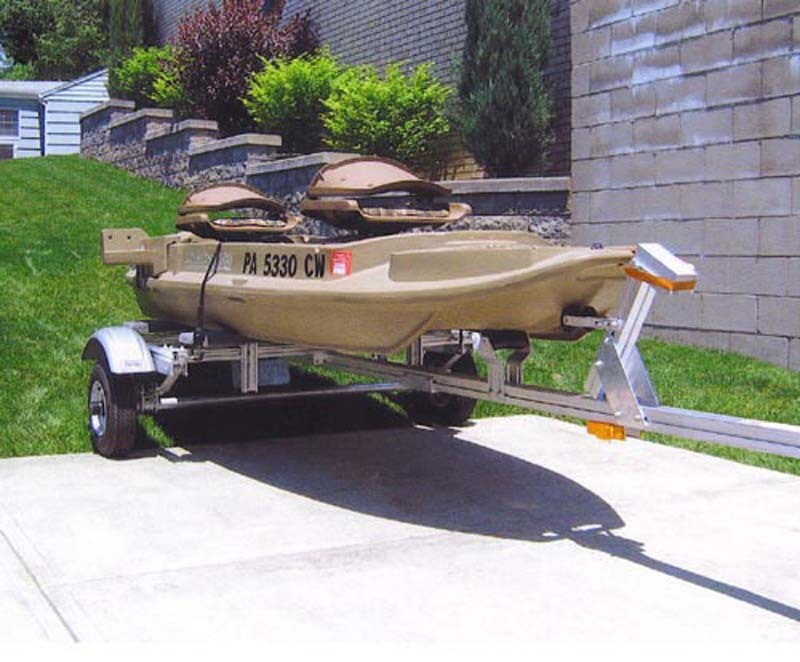 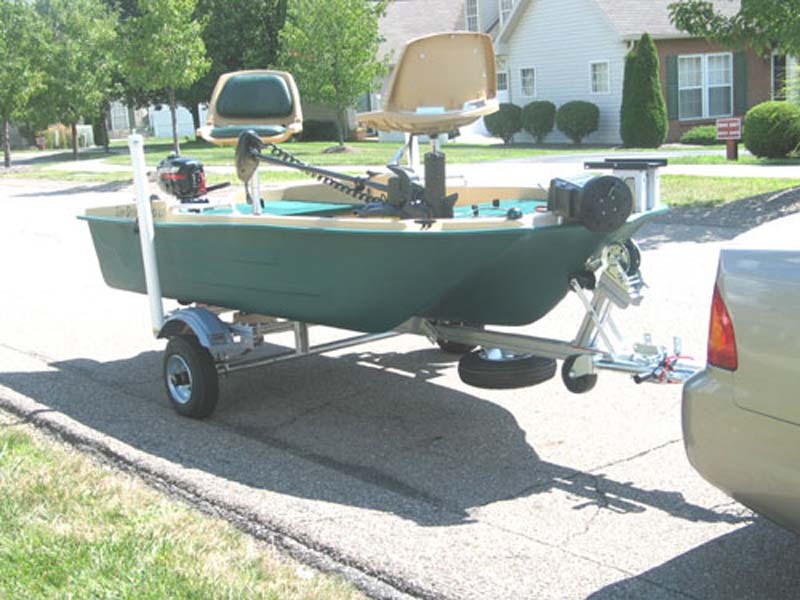 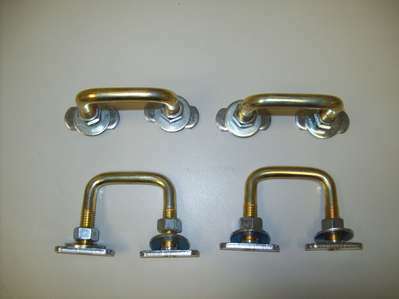 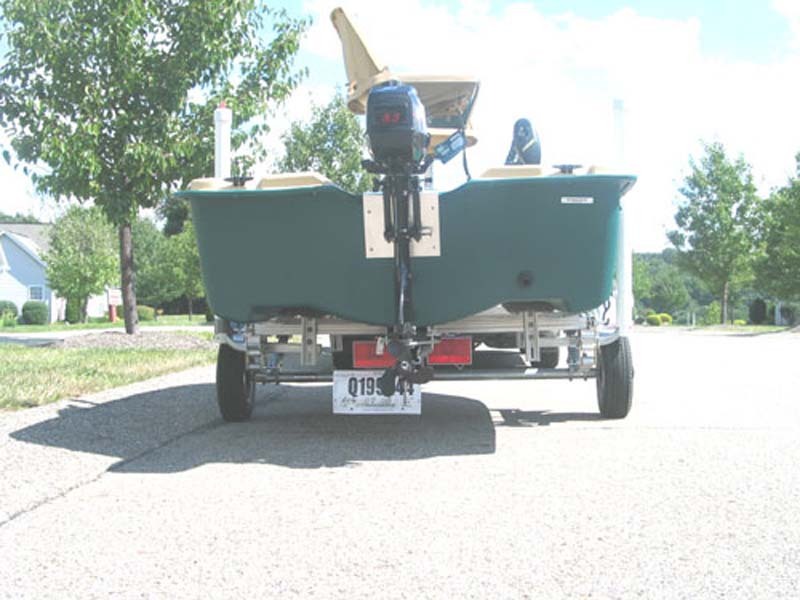 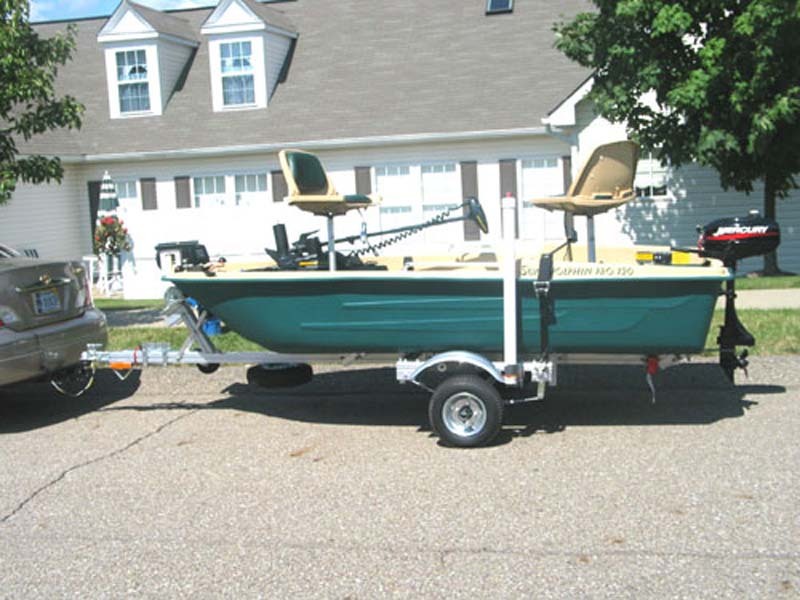 These trailers are designed for "V" bottom Jon boats, semi "V" boats and Flat bottom boats up to 250 or 500 lbs.The bunks, rolls, axle and bow stand are completely adjustable. 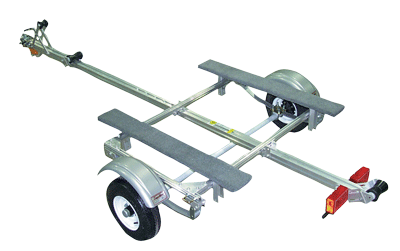 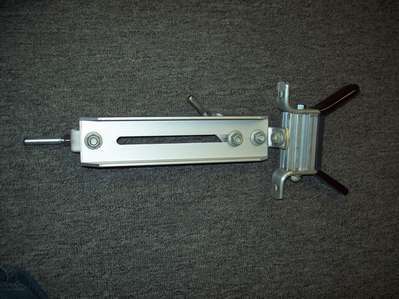 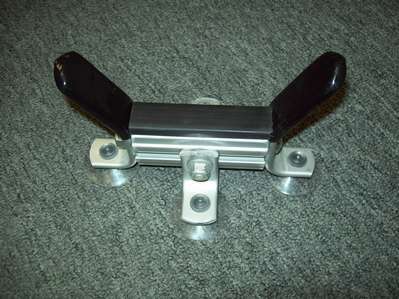 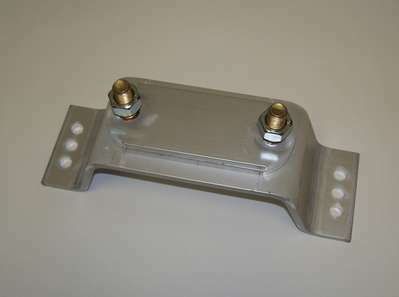 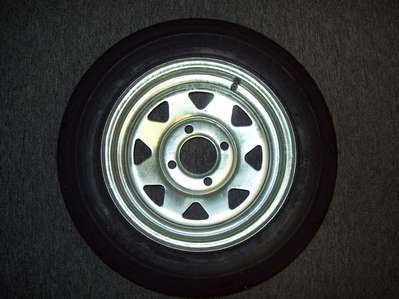 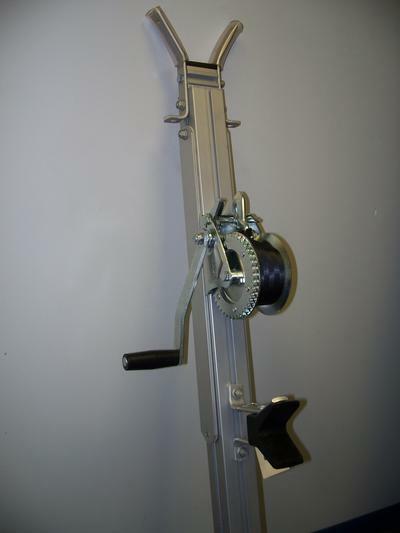 The aluminum construction is 50% lighter than steel so it can be used as a dolly. 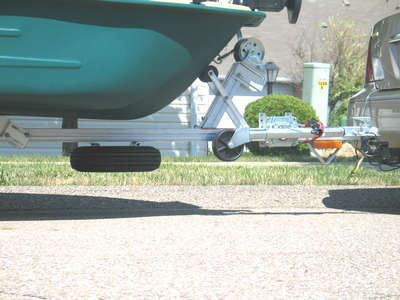 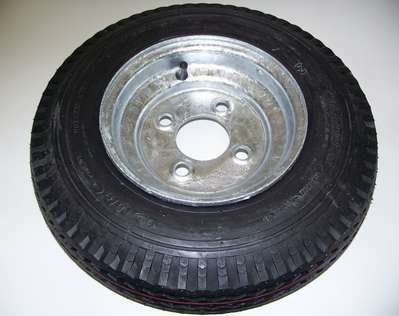 Shipping weight 169. 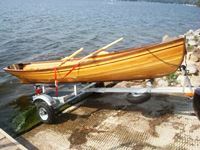 Assembled length 12' 8" width 68".